The seventh chakra is called the Crown Chakra, and in Sanskrit, it’s called “Sahasrara”. It is located at the top of the head, and is responsible for your connection to the Divine. Your feelings of disenchantment, and a lack of purpose, meaning and identity aren’t all in your head. They are actually in your blocked Crown Chakra. When you’re unable to see the big picture, unable to live in the now, feel uninspired and disconnected, you’re not alone. Nearly everyone has a period of their life when their crown chakra has been blocked. 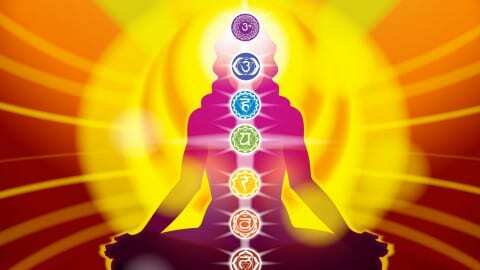 Balancing this chakra will first require all other six chakras to be balanced first. 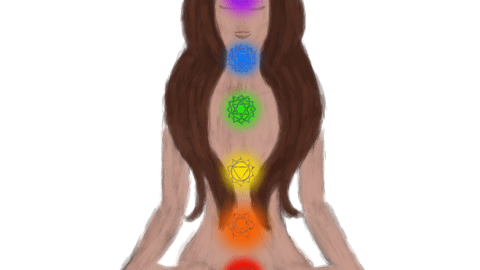 Once this is done, a simple meditation with a focus on pure white light radiating from this chakra and enveloping your entire body with this white light will easily balance your Crown Chakra. This chakra’s colour is white, and sometimes pink, so wearing more white, and working with crystals like selenite, quartz, and fluorite will help to raise the vibrational level of this chakra. Eating clean foods like green leafy vegetables, celery and abstaining from the consumption of meat and dairy products will also help to raise the vibrational level of this chakra. Someone with a balanced crown chakra is devoted to their life purpose, has strong ethics and values, is selfless and usually is a humanitarian. 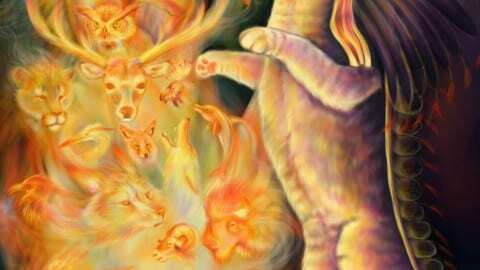 Their connection to the Divine allows them to channel guidance, know things intuitively, and connect with past lives to live in the present moment. While they plan ahead, they are very content and happy people, at peace with their decisions and feel spiritually fulfilled doing the work they are doing. Long term imbalance of this chakra could possibly lead to mental illness, senility, hysteria, migraines, depression, and affects the right/left brain balance. 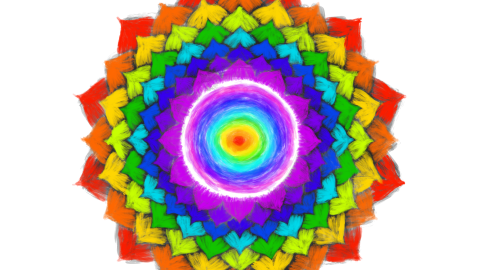 Too low of a vibrational level in this chakra manifests as indecisiveness, a catatonic state, and a total lack of joy or any sense of purpose. 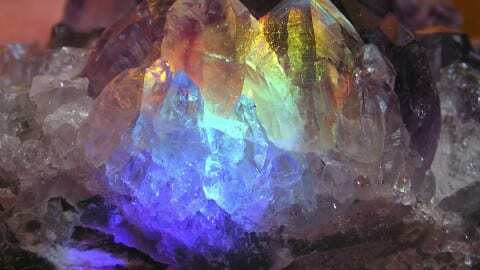 Too high of a vibrational level in this chakra manifests as a constant state of frustration, destructive depression, mental illness and migraines. 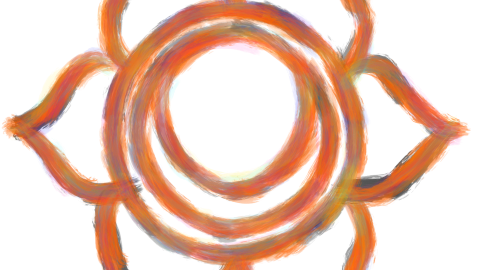 Organs that are affected by this chakra are the brain, cerebral cortex, pituitary gland and nervous system. Total access to the subconscious and unconscious is within reach. Meditate daily. Ground daily. 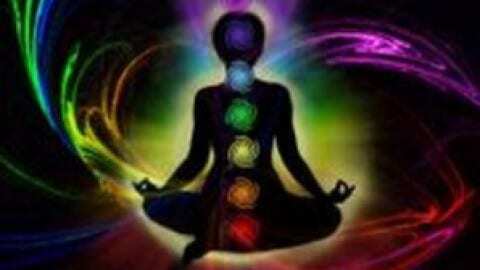 Keep your chakras balanced and flowing harmoniously. Access to the Divine is attainable by simply closing your eyes, and seeing the white light from the Universe come down and fill your Crown Chakra, then envelope your entire body. Ask for your much needed guidance, and be ready to accept it and put it to work in your life.